In the bright mirror on its stand, beauty and ugliness are revealed. With the Bakuya sword in hand, killing and sparing are brought under control. A handsome fellow disappearing, an ugly one comes; an ugly fellow disappearing, a handsome one comes. Life is found in death, death in life. If you have no eye to penetrate the barrier, no freedom to turn about, you will be lost on the way. Tell me, what is the eye that penetrates the barrier, what is the freedom to turn about? The case illustrates. A monastic asked Zhaozhou, "What is Zhaozhou?" Zhaozhou said, "East gate, west gate, south gate, north gate." The Diamond King's eye was as clear as a jewel. But the heaviest hammer blow could not open them. The devices presented in the words come directly on. The adamantine eye is totally free of dust. An endless round of hammer blows could not smash them open. The monastic is thinking of the saying, "to liken it to a thing would miss the mark," and thus he poses his test for Zhaozhou: "Be it a mountain, be it a river, whatever it is, try to say!" Then Zhaozhou's answer comes and throws the monastic clear out of the ring! This old guy is cold! Even if you say the gates are open in the four quarters and the eight directions, with no barrier at all, so "horses can pass through and oxen can pass through too," concealing nothing, this may be like the proverbial blind guide who cannot ee where he's walking. But humans stand upright, certain other animals stand horizontally: whoever wants to go through the four gates of just so, go on through! Zen masters of old were identified by the geographical location of their monastery or temple. Thus "Zhaozhou" is the name of the town near the monastery headed by Zhaozhou. The monastic's question therefore had alternative meanings. If Zhaozhou had answered concerning himself, the monastic could have answered, "No, I did not ask about you but about the town of Zhaozhou," and vice-versa. The town of Zhaozhou was surrounded by walls and had four gates. These were open to anyone who wanted to go in or out. And Zhaozhou himself also had gates: conversion, training, enlightenment, and Nirvana (or holding fast, letting go, being constructive, and sweeping away; or emptiness, reality, phenomenon, and essence; and so forth). They were open to anyone who wanted to visit him and learn from him. But unless you have made progress in your training, you cannot pass through the gates. It is not Zhaozhou who blocks you, but you yourself. "What is Zhaozhou?" While asking about the place called "Castle Zhaozhou," it's also asking about the Zen master Zhaozhou. If your mind is troubled, your mind-mirror is clouded, and therefore unable to reflect in-coming information as it really is. The Castle Zhaozhou has the shape of a square with gates in the east, west, south, and north. 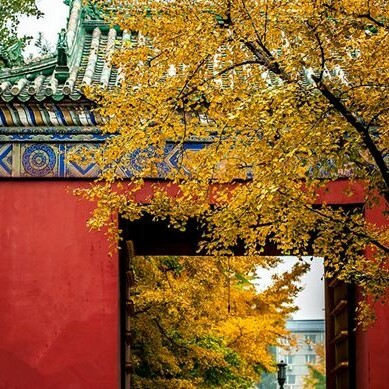 But at the same time, "east gate, west gate, south gate, north gate" refers to [the Zen master] Zhaozhou himself: You can enter it anywhere, and there is nothing inside. As you know, the term "gateless gate" [Wumenguan] teaches us that essentially there is no gate. But if you try to pass through with something conceptual in your head, everything becomes a barred gate; if you try to enter with delusions in your mind, everywhere you are obstructed by a gate. This is how every koan is constructed; if your eye is open, however, there exists nothing strange here, everything is normal. 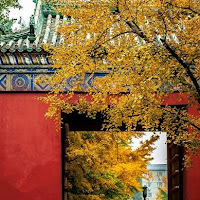 Master Zhaozhou manifests himself completely while referring to the Castle Zhaozhou: Come in, please, through any entrance – east gate, west gate, south gate, north gate – this is Zhaozhou, there's nothing within. Come in as you please! leaving from and coming to the country. reflect the moment in a saber's blade. If it's not south, it's north. If it's not west, it's east. There is something rather than nothing. In the season of great peace you have no concerns. and imagine nothing is actually something. Why so many gates? All open, open? there's a field of wheat. lies the deep blue sea. hens and chickens scratch the earth. The traditional understanding of this koan is that the gates are the senses. 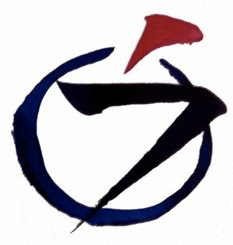 In this koan only four are mentioned, but six are mentioned in the Heart Sutra, for example (eye, ear, nose, tongue, skin and consciousness); and Zhaozhou means to refer to all of them. I might suppose that the senses are my interface with the world: the gates between my inner and outer spheres. However, Zhaozhou was not proposing that kind of dualism. By referring to the city gates, rather than the city within its walls, his meaning was that he found his own understanding of who he was at – or better as - these gates, through which all phenomena of his world, inner and outer, came and went incessantly and without obstruction. Zhaozhou was suggesting that all sense objects intermingle and merge into, and emerge from, one another through the sense-gates. In this way, sense objects and the senses themselves are both interdependent and separate. Zhaozhou was saying that, if we want to understand who or what we are, we can only do so through intimacy with the gates of our perceptions. This is why we do not attempt to close down our perceptive powers in zazen. We let be our senses of taste, touch, smell, sound and sight and our thoughts and emotions, but keep bringing them back to the intimate encounter with momentary lived-experience. When we do that, we discover that the objective and subjective intermingle. As Bernie Glassman Roshi says, we understand that, 'The seeing is what is seen (and vice versa).' Merleau-Ponty thought that all phenomena, ourselves included, are an empty field, or sphere, of open awareness. Zhaozhou tells us that the gates of the senses, our very skin, stand in that open field. And the totality of what we are in each moment is contained within this field and given meaning by the sense-gates. The monastic said, "I did not ask about this." Zhaozhou said, "You asked about Zhaozhou, didn't you?" This monastic is undeniably extraordinary, coming to examine the tiger in his lair like this. Zhaozhou, however, is up to the task and directly shows him the whole thing. The monastic misunderstands, and turning his back on Zhaozhou, looks to the city. He does not understand that the gates all face each other and are always open. Nothing is excluded. A place of yin and yang. As if our names were "The World."